Hi friends 🙂 How’s your morning going?? Mine is pretty bueno. The obsession began when I had the macrobiotic bowl at Cafe Gratitude in San Francisco. I just love the idea- greens, grains, healthy fats, sauce, all in one bowl of happiness. I’ve re-created the bowl at home a few times since then, and it’s been a perfect take-to-work option and you can mix it up so many different ways. Step 1: Add your greens. 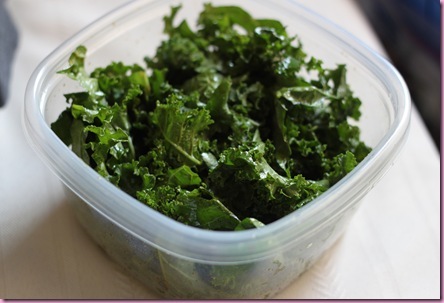 Last night I rolled with massaged kale (with olive oil, lemon juice and Cayenne). Arugula, spinach, broccoli, zucchini or mix greens would work great too. Step 2: Add half of your toppings. 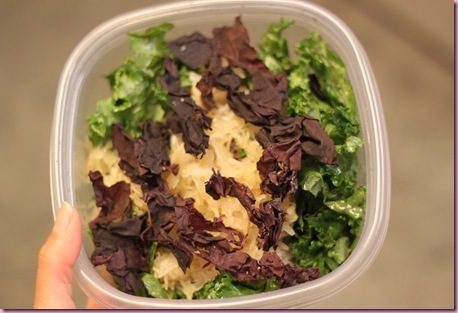 I used sauerkraut and dulse. The options are endless here: chopped veggies, olives, sundried tomatoes, berries, whatever you’re feeling. I’ve been on a millet kick lately, so I rolled with that, but you could definitely use brown rice, quinoa, wheat berries, any grain that you love. As far as the healthy fat goes: hummus, sauce (yogurt sauce, almond butter-sauce, curry sauce) would all be amazing. Autumn style: Spinach with chopped apple and onion, dried cranberries, brown rice, goat cheese and balsamic vinaigrette. Brown rice toast with cashew butter and frozen organic berries. By the time yoga is over, the berries will be softened and ready to eat. I love the idea of the grain bowls. Especially the Mexican one. Yum! I love grains in a bowl! So many great things in one place..you can’t go wrong!!! 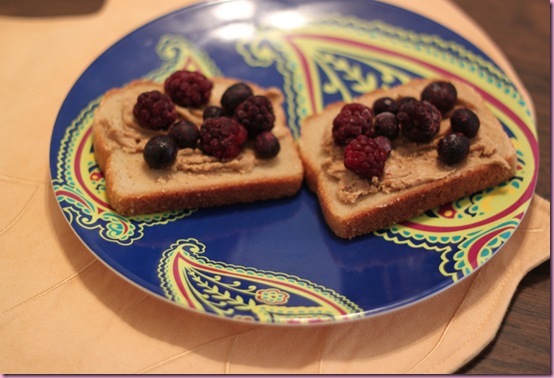 I never did berries on toast with my nut butter, how interesting! 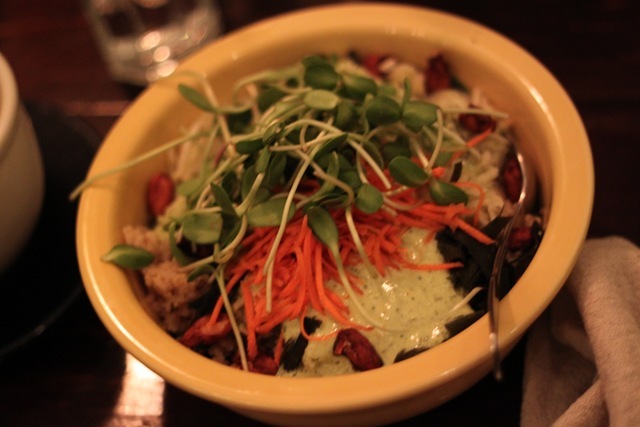 Wow – I’ve never had a grain bowl before & I MUST try one! Looks so easy and delish!!! 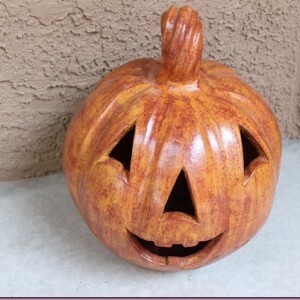 I love your ideas for variations on the grain bowls! I have never tried massaged kale before, I think I’m going to do it! For the most amazing “grain bowl” you’ll ever have you MUST go to Life Alive in Lowell, MA. If you’re ever in Boston make the trip out there. I’m pretty sure they started the whole craze for this type of meal and they are aaaaammmmmaaaaazzzzziiiiiinnnnngggg!!!! Btw, in the pics of you Gabriela and Jac at the Lululemon Union Square store….you were actually right next to my door! Literally a door away!! So crazy! and i’ll def check that place out! I will definitely be making those grain bowls!!!! I love quinoa on my salads. It just soaks up the dressing and is so delish! On nom nom. Grain bowls are what I eat most of time! I usually use quinoa or barley, but brown rice, wild rice, and amaranth are also really good grains to use. I’ve been tossing half a lemon and a couple cloves of garlic into my grain cooking water instead of using anything salt based like broth and that’s been really delicious as well. Brussels sprouts, green onions, lemon juice and olive oil, almonds, Parmesan, and a fried egg. Asparagus, green onion sauce (green onions cooked in olive oil and pureed), lemon juice, olive oil, almonds, Parmesan and plain yogurt. Green beans with almonds and a sauce made of mustard, hot sauce, and a teeny bit of butter. roasted broccoli with garlic, Parmesan, lemon, walnuts, and a poached egg. 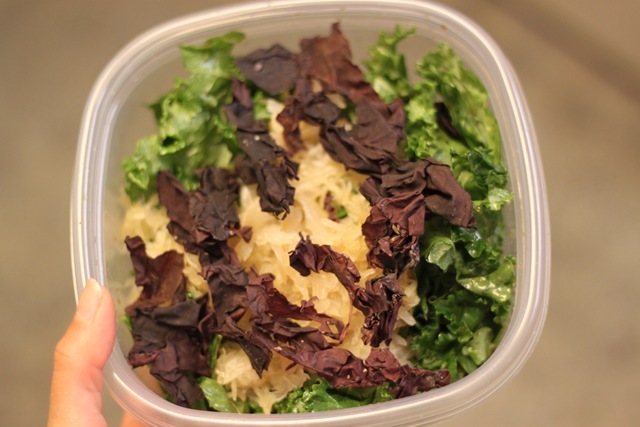 Kale with onions and garlic, hot sauce, lemon juice, olive oil, and parmesan. Spinach, artichoke, feta and lemon juice. It looks sooo good! I will definitely have to add some grains to my next bowl of greens and veggies! I love Danza Kuduro too! It is sooo fun! 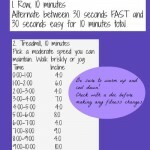 I am hoping my Zumba instructors will come up with a routine for it soon! Love these! Such an easy way to get all the food groups in one big bowl… and tasty too! 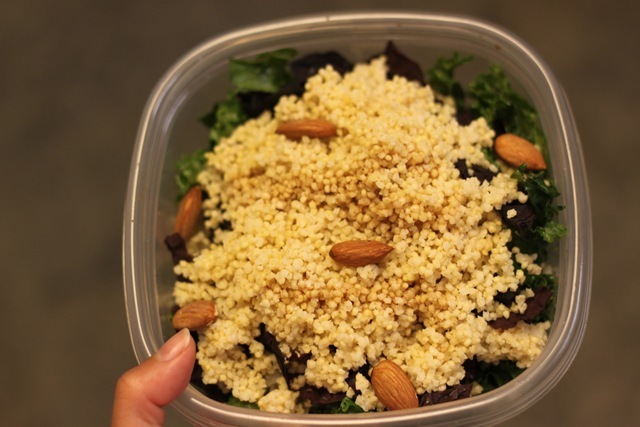 I made one a while back that I loved with bulgur, beans, veggies… and then would put it over some greens. Thanks for the other ideas! I think i should try a grain bowl, i’ve been eating brown rice almost everyday, it would be a nice little change! Yumm I love grain bowls too! Whole Foods’ grain bar is probably one of my favourite parts of the whole store. Today my lunch contains a salad topped with tempeh, tuna and farro, a new grain I’m trying this week. It comes from the same family as spelt but reminds me more of barley. So excited to eat it! I used to make those a lot. I don’t know why I stopped! I love grain bowls. They have all sorts of ’em at my favorite vegan resto here in Toronto, Fresh, and I made them myself sometimes- but not enough! Filling and healthy, love ’em! I love your “sweet potato bisquits” recipe too. I have some Lululemon questions: (1) What jacket did you get at Lulu NY? (2) What running tights to you recommend for running in the cold? I need some new tights, and I have been perusing the Lulu website, but I haven’t made a decision! I though you would be the perfect person to ask. p.s. Sweet potato biscuits = on my weekend to-do list! as far as the tights go, how cold are we talking about? canada/snow cold, or 30-40 degrees cold? I definitely just laughed out loud at “Grainiac.” Genius. I thought I was the only one?! ;P I have been craving a grain bowl … pretty much every night. My husband thinks I’m nuts bc I’ll eat the same kind of thing every night. Can’t help it… I’m in a food groove 😉 For me, it’s been quinoa… but millet looks like something I’d like. Can’t believe I’ve never tried it! The bowls look great…and great idea! Hope you had a great yoga class! They should have happy bowls instead of happy meals! Oh yeah, I’m all about the mix-in bowls, too… the combinations really are endless! hi gina, how do you prepare millet? i’m so looking forward to trying these grain bowls, endless options!! thank you so much. I’ve never had a grain bowl in particular, though they sound just like the big salads I make. Oh, awesome idea. i’ve been so into your way of just throwing everything together. my husband thinks it’s gross, but i love it. 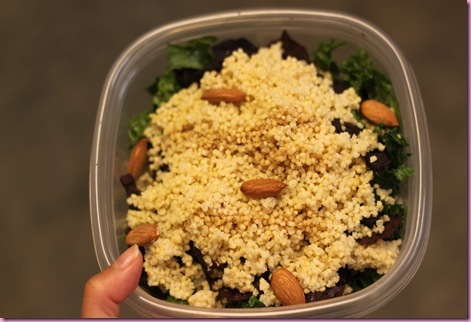 i love the addition of a grain here, as my bowls are usually just base (usually massaged kale)+ lots of veggies + healthy fat (usually hummus and a few almonds). 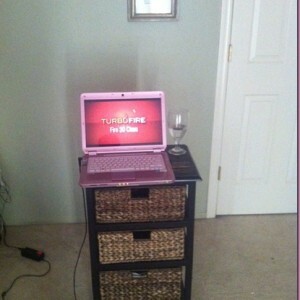 be sure to post what you get at the mall – i’m living vicariously through you! Lovesit! I’ve been doing these for years but I have always called them “big bowls.” It’s a little more ghetto sounding, but me likes. I used to do a breakfast version with cottage cheese, fruit, cereal, etc. Just throw the mess in and sit down to feast! I love grain bowls!! I’ve made sushi bowls with brown rice, nori, carrots, avocado, and little tamari. So delicious! Hope you’re doing well Gina. I love how healthy and quick a grain bowl is assembled. Fact: I’ve yet to try kale 😉 and this looks amazing! Haha, I love the post title. She’s a graaaaaiac, graaaaniac! Grain bowls are such a perfect fast meal! I loove your idea to have massaged kale in it. Definitely trying that next time! I check your blog more than my e-mail 🙂 Love it! 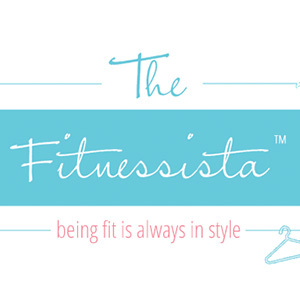 I am interviewing for Lululemon tomorrow and am so excited and nervous! I was wondering if you could give me an idea of the interview process and maybe any tips you might have. Thanks! good luck- you’ll have a blast! be sure to have a good idea of what your persona, health and career goals are. know what you’re passionate about, what your strengths are, and why you want to work for lulu. Thanks for the grain bowl idea! I’m having it for dinner tonight! Love the idea of endless possibilities!! I’m going to ask my boyfriend to get me the Scuba Hoodie for my bday! been eyeing it for awhile!